Trading in gold using the Chinese currency has tripled in Hong Kong this year as the yuan’s rally to a 19-year high helps limit risks for jewelers. 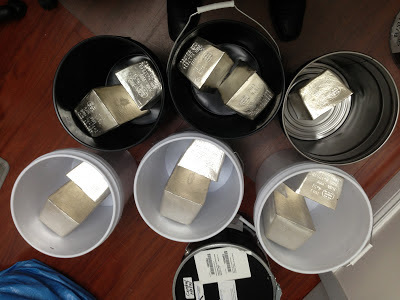 We recently deposited 11,000 ounces of silver in storage for a client, and here's what it looks like. These 1000oz silver bars are 2013 issue, and we had no problem sourcing them. Premiums for gold bars hit a record high in Asia on Wednesday as lower spot prices lured more buyers, mainly in China, the world's second biggest consumer of the precious metal, amid tight physical supplies. Premiums for gold bars in Hong Kong touched a new all-time high of $6 an ounce over spot London prices, up from $5 last week. Singapore premiums rose to $5. Banks in China were quoting up to $7 in premiums, two traders in Singapore said. 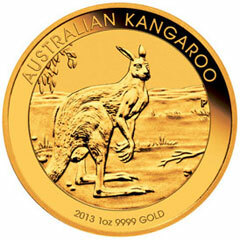 The Perth Mint of Australia achieved record breaking sales for gold bullion products in April, as lower precious metals prices spurred a huge leap in demand. Silver bullion sales also jumped to the highest level in six months. 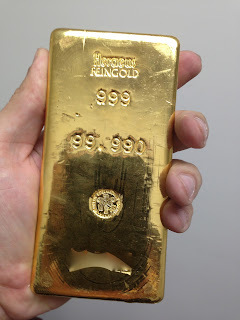 Is There a Crisis in the Gold Market? Here's a link to an interesting speech by Jamie Sokalsky, CEO Barrick Gold Corporation. The precious metals complex is recovering this morning after spending much Tuesday’s session under pressure as US equities continued their march into record territory. Physical demand for gold out of Asia continues to provide a downside cushion as reports showed March gold imports into China topping 223 tons! The yellow metal closed yesterday’s session at $1448.80 and is now up more than 1% on the day to $1466. Platinum continues to flirt with the $1500 level as market participants await the results of the Amplats consultation regarding planned shaft closures and job cuts proposed earlier this year. The white metal now trades $1495 after closing Tuesday’s session at $1481.20. Palladium’s dip to $680 was short lived as Norilsk Nickel reported a 9% drop in palladium production in the 1st quarter of 2013 compared to the same time frame last year. Palladium is now up nearly 1.5% from yesterday’s close, trading at $690 to start the day. Nothing significant on tap from an economic data standpoint but more corporate earnings should have market participants keeping their eye on the surging equities markets. The DJIA closed Tuesday at $15056.20! Have a great day! If the bull market for gold is over nobody seems to have told the Chinese. Net gold flows from Hong Kong to China surged to 223 tonnes in March, up from 97 tonnes in February taking total imports in Q1 to more than half of the record 557 tonnes imported for the whole of last year.